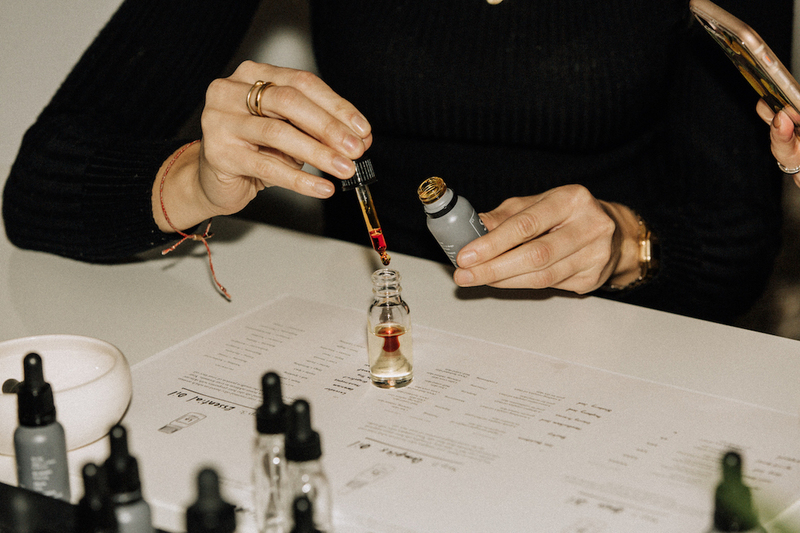 To launch our Dynamic Skincare collection, our co-founder Sara Panton sat down with 24 dynamic women in 24 hours to blend custom face oils with them. Each woman’s skin needs were so unique and a direct reflection of what was going on their lives—whether that was navigating pregnancy, running a business, or educating young entrepreneurs. After the face oil blending, Brit Gill shot portraits of each woman, capturing their spirits and making them feel so comfortable and special; we could hear laughter rumbling from the portrait session room all day long. Some of the images hang proudly in our office as a reminder of how fortunate we are to create products for such incredible women. Here’s a little behind-the-scenes look at the experience from Sara’s perspective, along with some written words from our dynamic women. “vitruvi was built by listening to our community and then creating products and content to meet their needs. 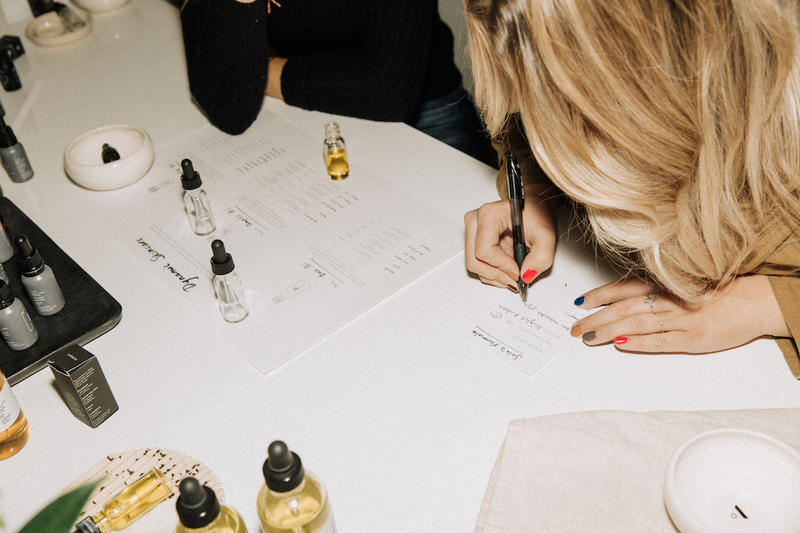 When the time came to think about creating a skincare product (after many asks and thousands of requests via our social media), I spent a lot of time talking to the women in my life and asking about their skin—how it changes throughout the day and how their current products perform for them. After learning about the ever-evolving needs that these women experience, I realized that creating a single product that could keep up with them wasn’t going to be an option. Instead, I needed to design a system that would allow the face products to be as dynamic as the women using them. 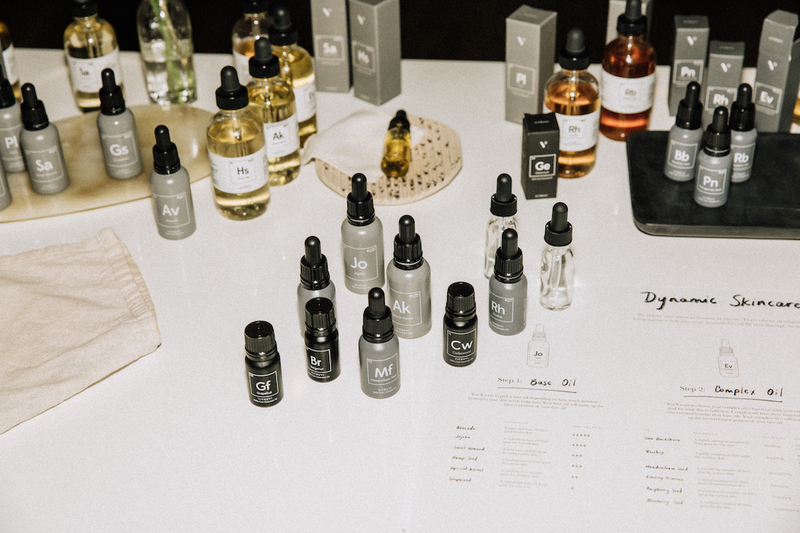 Dynamic Skincare was created after many evenings experimenting in my home and hundreds of samples being given in little bottles to the women who are oh-so influential in our lives. The goal is for women to enjoy what we believe is the new luxury: simplicity in, and customization of, the products they put on their skin. We photographed 24 women who have been influential in the development of vitruvi over the years. From the first woman to advocate for the brand as a major department store, to a beauty founder I look up to immensely, to a best friend since kindergarten who has supported and cheered from the sidelines, to of course, my mom—this campaign is truly made up of women who have inspired us along the way. 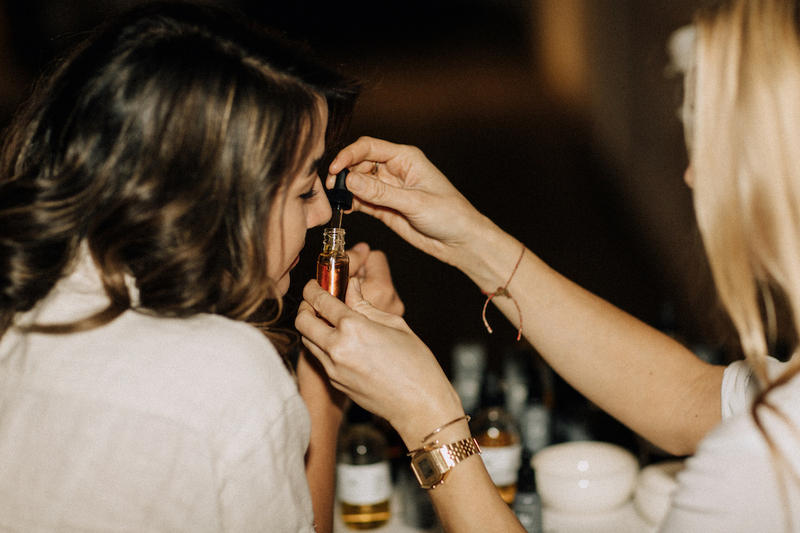 I had the honour of sitting down with each woman to talk about her skin, and we blended a face oil together before they were photographed by the talented Brit. For many of these women, who operate as powerful forces behind the scenes, this was the first time they were professionally photographed. There were lots of laughs (some wine), some tears, and many hugs. Photographing 24 dynamic women in 24 hours was an adventure; many flew in specifically for the shoot. “It’s challenging to put into words how it made me feel as a consumer and a woman. What struck me was how we expect our jars and potions to work magic for us. Marketing campaigns and trends seem to trump understanding of what the ingredients can do for our skin. It can be hit or miss and very costly. It was refreshing to have a conversation with Sara about the needs and goals of my skin. Also, understanding the benefits of each oil was really interesting, and I loved the chart to help me focus on the specifics of each oil type. “I feel like I have been going at 100 miles per hour the last few months, with a second baby boy joining our family, a husband who travels a lot for work, and our second Field & Social salad shop. Although I’m an introvert at heart and love my alone time, sometimes it’s tough to find the time for self-care while being a mother, wife, and shop owner. Our community makes us. Thank you for being part of it.